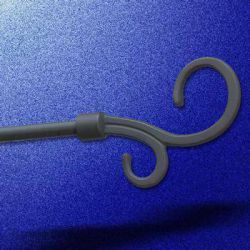 This extra long black wrought iron Scroll Curtain Rod has a sturdy, half inch diameter rod with two equal pieces that slide over each other. 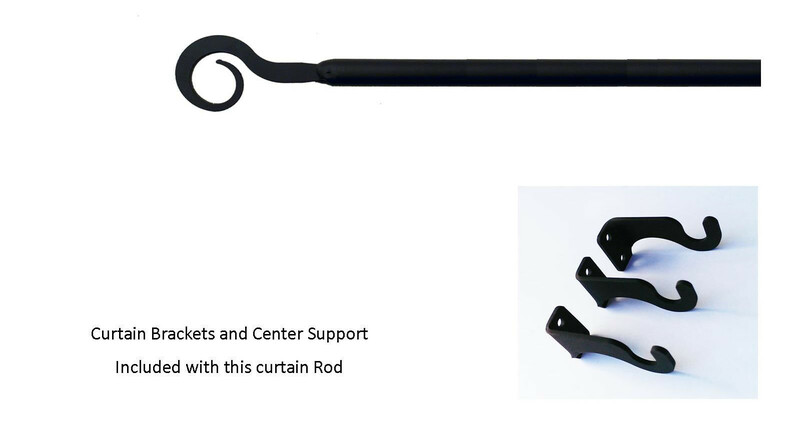 The wrought iron Scroll Curtain Rod extends to your desired length between 113 inches to 130 inches, not including the finials. Curtain rod brackets and center support are included, measuring 3/4 inches in width and 1-1/4 inches high by 2-5/8 inch depth.